News: RPPR Enamel Pins are available for a limited time! Find out how to get one on the RPPR Patreon! If you liked this episode, check out the game, available as a PDF. I liked playing this one. As I remember, some of the mechanics need a bit of work, but on the whole, a very fun game. This reminded me of High Plains Drifter and Blueberry (marketed as Renegade in the US, with Vincent Cassel). And if you haven’t seen Blueberry, track it down. Trippy as all hell. Does it feel a little weird to anyone else that this is the third Versailles-themed resort to show up in an RPPR game? There was a fully virtual Versailles in Tom’s Hic Svnt Dracones game, and a Versailles resort in Eclipse Phase: The Manor. The Manor even got recorded twice. And then the real Versailles shows up in that one CoC game. Versailles is an interesting place and if you want a creepy mansion/palace, where better than the biggest and creepiest one? I enjoyed listening to this one. Usually not a huge fan of the Wild West, but it worked. 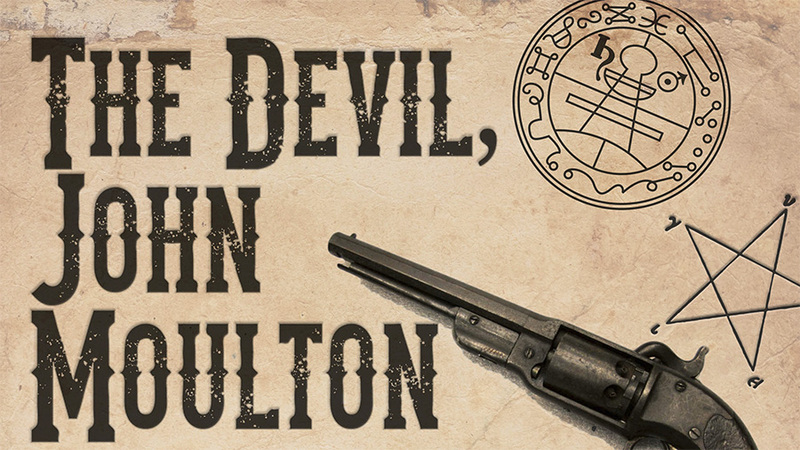 Will there be any more of this, given they never found that devil John Moulton? Also I liked the idea of ‘winning every gunfight’ mean it had to be a GUN fight. You can shoot 30 desperados in half that number of seconds, but if a man comes at you with a knife you’re in trouble. I recorded another game of it with a different group. The game does have rules for confronting John Moulton, but it’s supposed to take several sessions and I don’t want to run a mini campaign of it.